The numbers are in, and they were extraordinary! 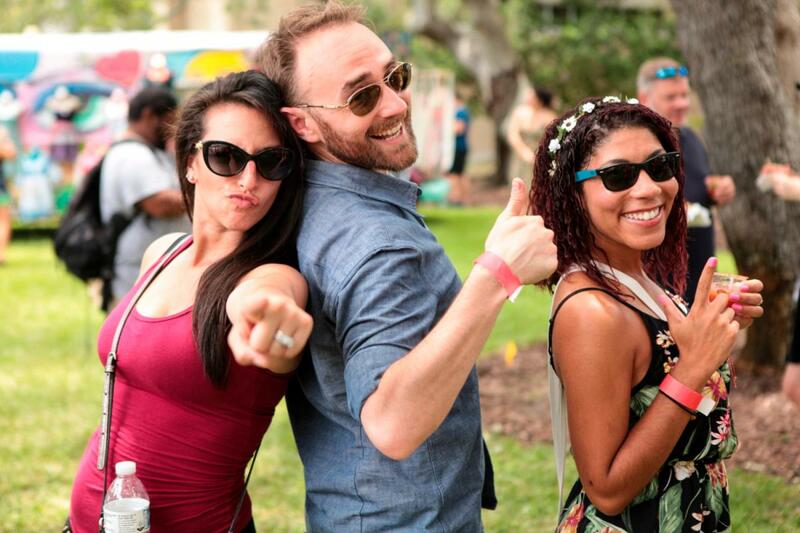 Over 800 visitors participated in Sunday's festivities downing over 10,000 samples and 1000 full-sized drinks. 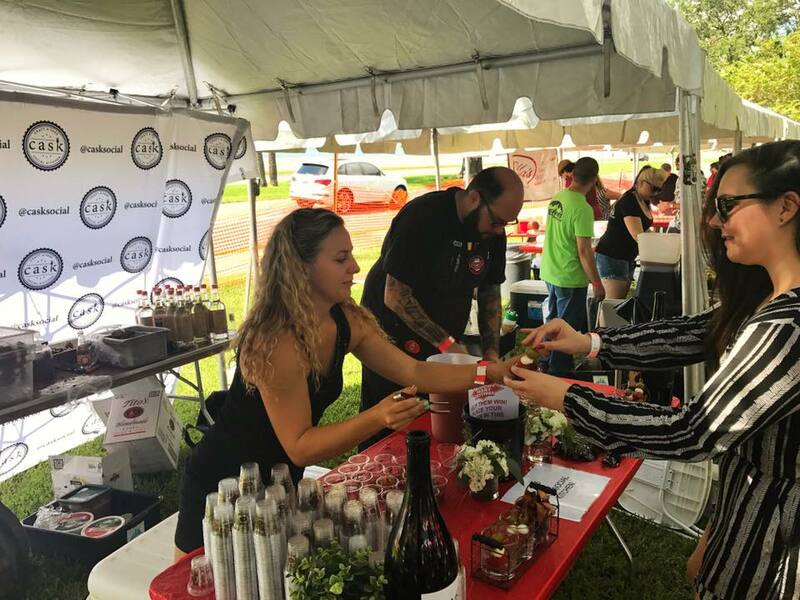 Fans of the iconic antioxidant drink gathered at the new venue on breezy Bayshore Boulevard, the Tampa Garden Club, to sip and sample unlimited bloodies from 11 am to 3 pm. Still there at 3:00 pm, TPD had to disperse the crowd, people did not want to leave! It was a great Sunday Funday under grand old trees. Nine local favorites featured in Best Bloody Mary Bars Found in Tampa | Top 50 competed, bringing their best mixers, vodkas, garnishes and more. Most offered festers coupons for free drinks at their restaurants and chances to win prizes. 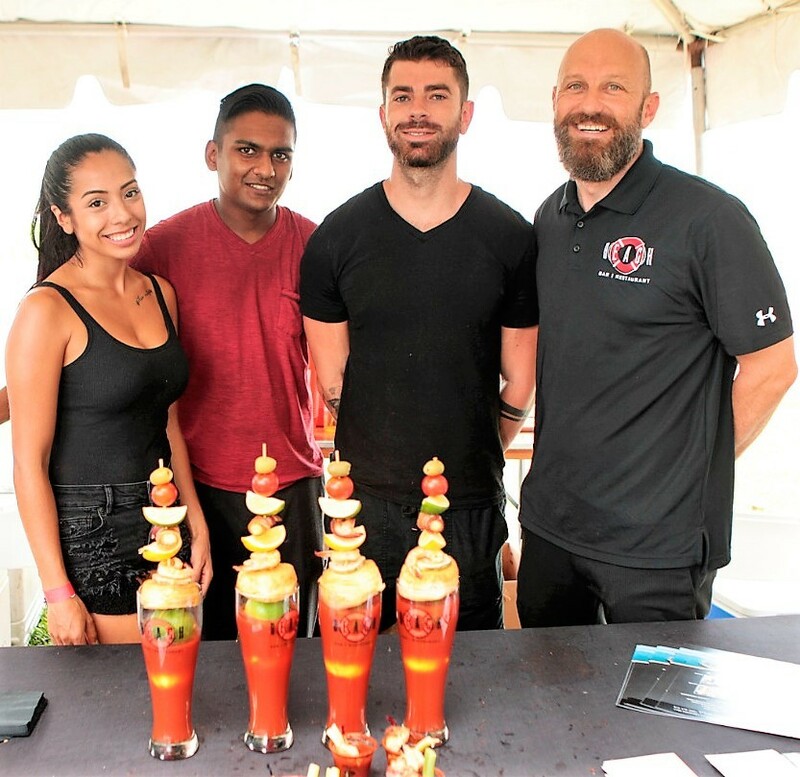 We predicted in Taste Tour of Entries in The Bloody Mary Festival, A Sneak Peek into Heaven the Grand Jury judges would have a difficult time deciding on a winner. It could not have been easy, as you will see below, the competition was fierce! 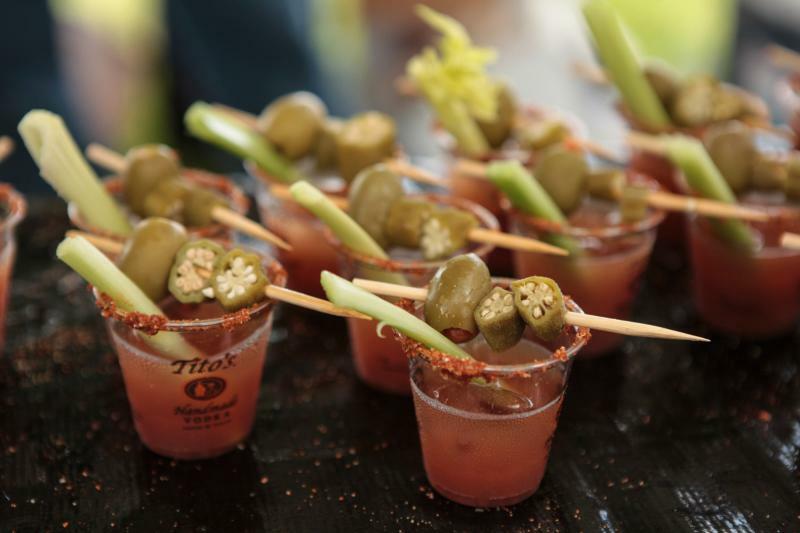 After sampling unlimited Bloody Marys guests voted for Fan Favorite, and winner of the coveted Golden Celery Award, by placing a wooden chip in the bucket for the Bloody Mary they liked best. It was fun hearing festival goers arguing the merits of this one over that, and immediately noticeable guests were having a difficult time choosing just one! It was close, Winner of Fan Favorite 2017 was Ella's American Folk Art Cafe in Seminole Heights with their Bloody Ella. Created with a 30-day in-house garlic-ancho-chipotle pepper infused vodka and Loaded Bloody Mary Mix. Ella's topped their award-winner with lime, green olive and chunk of smoked rib! Pitmaster Shaun English queued up 1200 ribs for the fest; this was the second year in a row Ella's took home the Fan Favorite Golen Celery award. Winner of the Grand Jury Award this year was Beach Bar & Restaurant at the Bay Harbor Hotel on Rocky Point. Not revealing all their secrets during the Taste Tour we did before the fest, Beach pulled out all the stops with their jaw-dropping Beach Bar Bloody Mary which includes a bacon wrapped tater tot in a towering garnish. Congratulations to the two winners! And a hearty THANK YOU to all who competed this year. Let's take a look at the others. 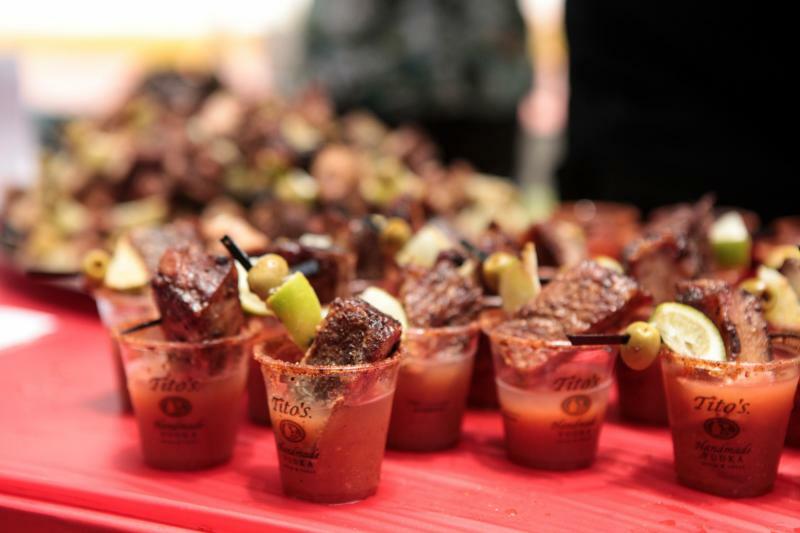 Eats American Grill (with a second location in Riverview) took second place fan favorite with their Hog Ridin' Bloody Mary. 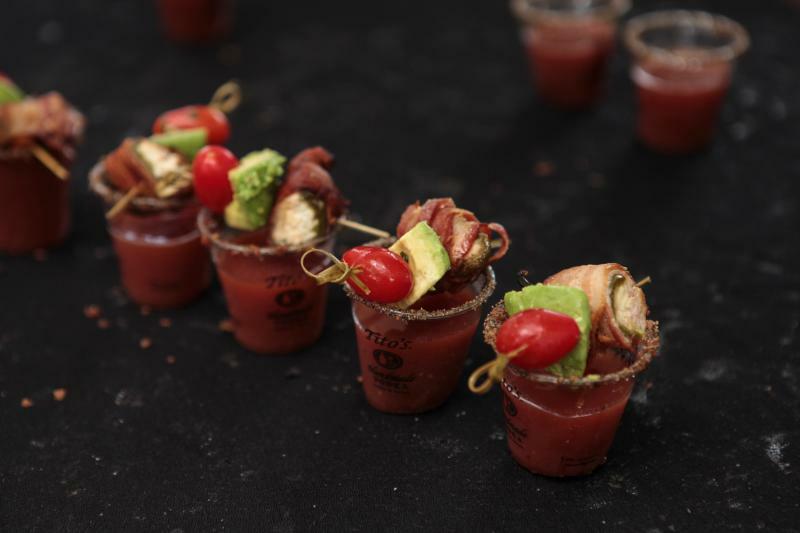 Eats infused their Bloody Mary mix with a Pair 'O Dice Brewing craft beer made with lime and jalapeno, not too hot, yet smoky Eats garnishes with their famous 'hog riders,' a stuffed dill pickle wrapped in bacon and deep fried, adding an herbed cucumber, avocado, and infused cherry tomato. In third place with the fan vote, Brewlands Bar & Billiards Carrollwood brought a southern crowd favorite garnishing with pickled okra and traditional olives. Light and refreshing, Brewlands uses a Cucumber Tito's in their Mary's. Brewlands Bar & Billiards Carrollwood took third place with this Southern Bloody Mary. Also creating buzz was Mort's Bloody Mary from Tampa Marriott Waterside Hotel & Marina in Downtown Tampa. Topping their Bloody Mary with a sandwich swirl on house-made bread, their garnish tops the perfect Bloody Mary, not too peppery, slightly sweet, it is the perfect pick me up! Last year's winner Tampa Marriott Waterside Hotel & Marina adds a house-made bread to their swirl! When do most of us enjoy a good Bloody Mary, Breakfast, right? Even if it's noon! 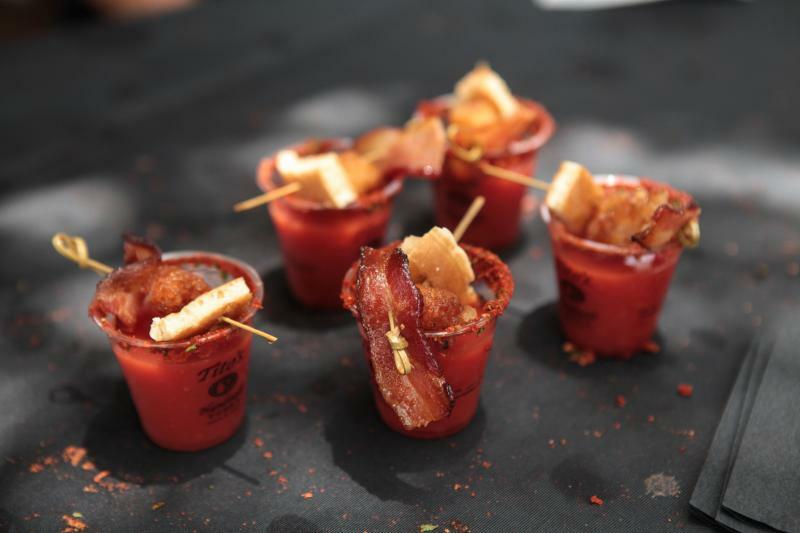 Up next is Ciccio's Water, loading up their Bloody with breakfast faves they garnish with a mini pancake, tater tot, and bacon. The maple bourbon syrup in the mix was a nice sweet yet savory surprise. Get a little breakfast with this classic twist from Ciccio's Water. Cask Social Kitchen brought the heat with pepper stuffed olives and bacon as part of their garnish. Kamran and his crew worked tirelessly serving up beautifully made samples of their spectacular Bloody Mary. 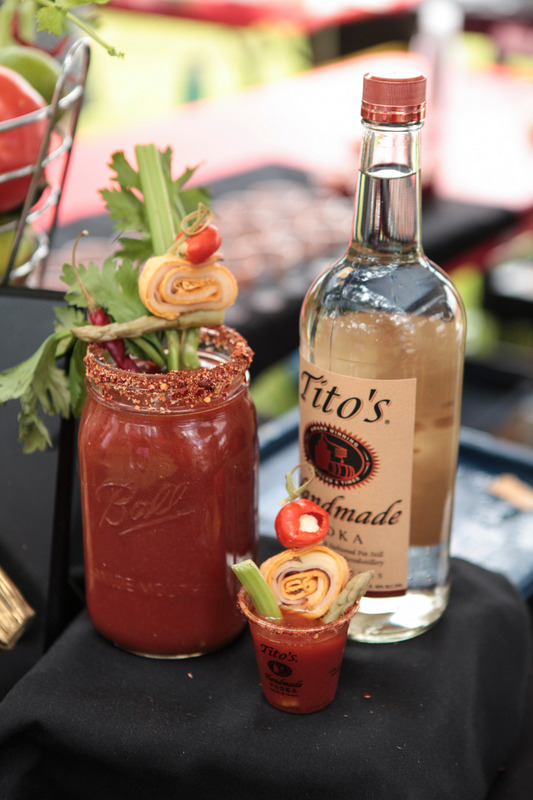 See a full version of their drink in Taste Tour of Entries in The Bloody Mary Festival, A Sneak Peek into Heaven. The Cask Social Kitchen crew serving over 800 guests at the fest! 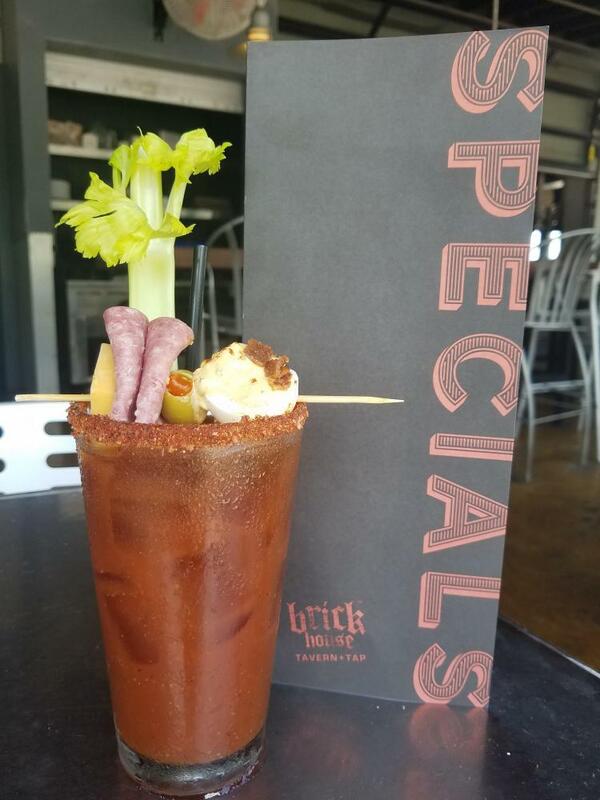 Brick House Tavern & Tap on North Dale Mabry near I-275 had people talking about the depth of flavor in their Zing Zang Bloody Mary topped with Genoa Salami, a deviled egg and more. Enjoy this one too much, and you might owe the Godfather a favor! Fuggedaboutit! And head to Brick House Tavern & Tap for this Italian-inspired concoction of greatness. Last but certainly not least is Thirsty First from across the bay in St. Petersburg. Another towering inferno of hot bloody goodness, we want you to see the whole enchilada. Not able to pile all that goodness onto their samples, it didn't matter, because their base drink is so delicious, dark red and packed with tomato taste if you like a classic Bloody Mary this the place! Thirsty First fired up the competition with this one. 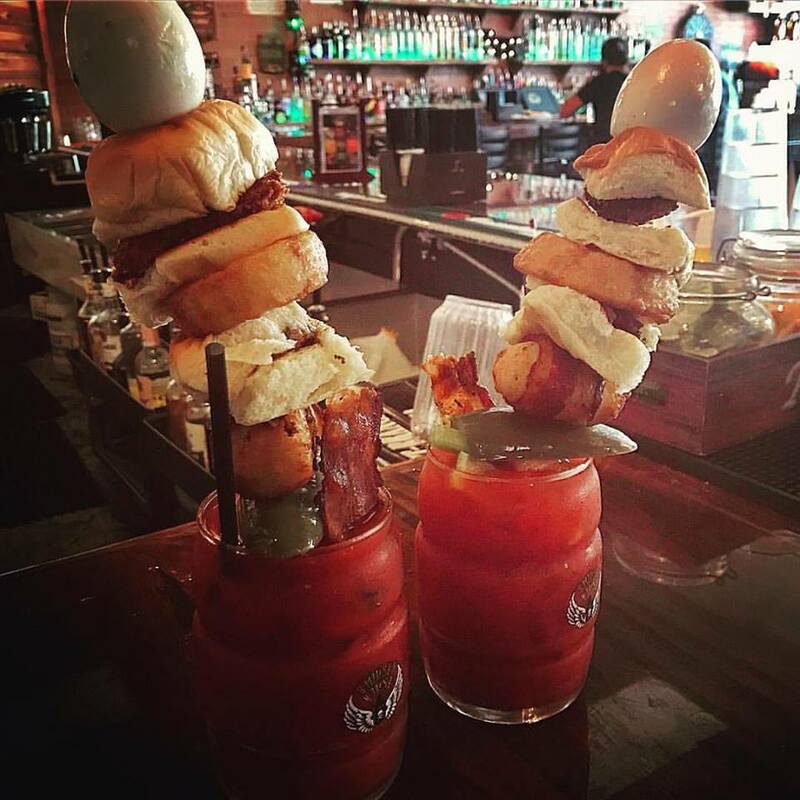 We recommend taking your own Bloody Mary Taste Tour through Tampa Bay, beginning with the Bloodies featured in this recap of a bloody great weekend. So, how long do you think it would take to try all the Mary's in Best Bloody Mary Bars Found in Tampa | Top 50? There are 52 weeks a year so, hmmm one a week! Those numbers sound reasonable, what do you think? You'll be finishing up just in time to see who takes top awards next year! Up next for Big City Events is the Summer of Rum Festival 2017 Labor Day weekend in Tampa. Looking for great restaurants in Tampa offering stellar brunches? You will find many of the restaurants above on our list of Best Brunches in Tampa and Best Brunch Spots in Pinellas | Downtown St. Pete - The Beaches - Clearwater. 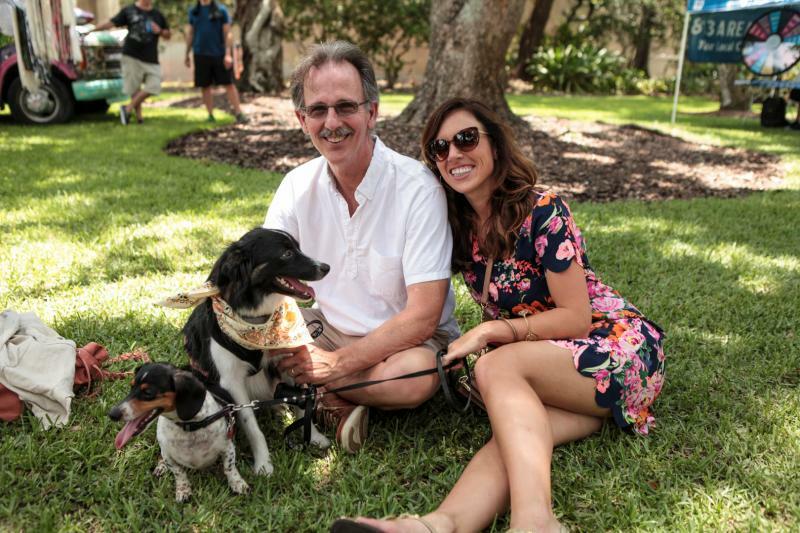 All photos by 813area photographers, check out the entire album used for this recap and rewind in Bloody Mary Festival 2017 / Photos.